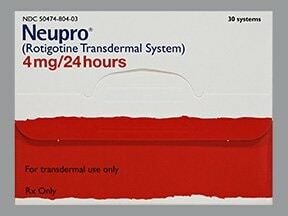 What conditions does Neupro Patch, Transdermal 24 Hours treat? Tell your doctor right away if you have any serious side effects, including: mental/mood changes (such as confusion, agitation, depression, hallucinations), severe dizziness, fainting, unusual strong urges (such as increased gambling, increased sexual urges), swelling ankles/feet, unusual weight gain, fast heartbeat, new or worsening uncontrolled movements. 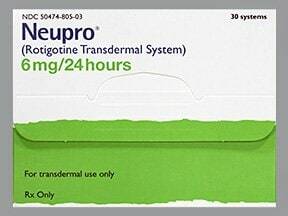 List Neupro Patch, Transdermal 24 Hours side effects by likelihood and severity. Before using this medication, tell your doctor or pharmacist your medical history, especially of: asthma, sleep disorders (such as sleep apnea, narcolepsy), low/high blood pressure, heart disease (such as heart failure), kidney disease, mental/mood disorders (such as schizophrenia). This drug may make you dizzy or drowsy. Alcohol or marijuana can make you more dizzy or drowsy. Do not drive, use machinery, or do anything that needs alertness until you can do it safely. Limit alcoholic beverages. Talk to your doctor if you are using marijuana. See also Side Effects section. What should I know regarding pregnancy, nursing and administering Neupro Patch, Transdermal 24 Hours to children or the elderly? 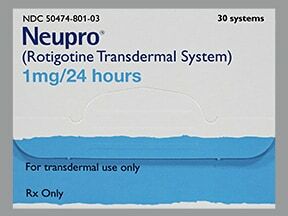 Does Neupro Patch, Transdermal 24 Hours interact with other medications? If you forget to change the patch, change it as soon as you remember. Do not double the dose to catch up. Resume your usual schedule for changing your patch. Do not flush medications down the toilet or pour them into a drain unless instructed to do so. Properly discard this product when it is expired or no longer needed. Consult your pharmacist or local waste disposal company. (See also How to Use section.Information last revised July 2017. 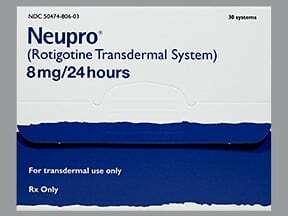 Copyright(c) 2017 First Databank, Inc.
Are you taking Neupro Patch, Transdermal 24 Hours? 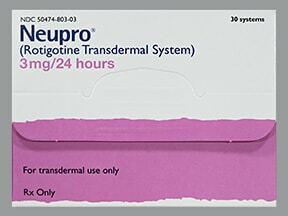 Are you considering switching to Neupro Patch, Transdermal 24 Hours? 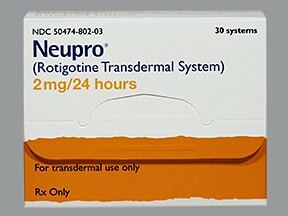 How long have you been taking Neupro Patch, Transdermal 24 Hours?